Seastainability, along with Patrick Jackson, are registered for Dublin’s largest community clean-up day, which is proudly supported by the four local authorities. On Saturday 27th April from the mountains to the sea, together we are hoping to make Dublin litter free. Come join us at Sutton Creek, bring a friend and let’s help restore the once beautiful Sutton Creek. Meeting at 12pm, (53.3870216, -6.1044100). Theres hot tea for anyone bringing a keep cup! Don’t forget to join the conversation on social media at #keepdublinbeautiful. We would love to see your pictures during the clean-up day! Beach Clean! Claremont Beach, Howth- Sunday 17th February 12-1.30pm. Starting at the hole in the wall beach entrance (not the car access entrance) 53.391551, -6.096972 , the location is easily accessible from Sutton Dart Station or the 31/a. Bag drop-offs at hole in the wall and Howth Dart beach exits. 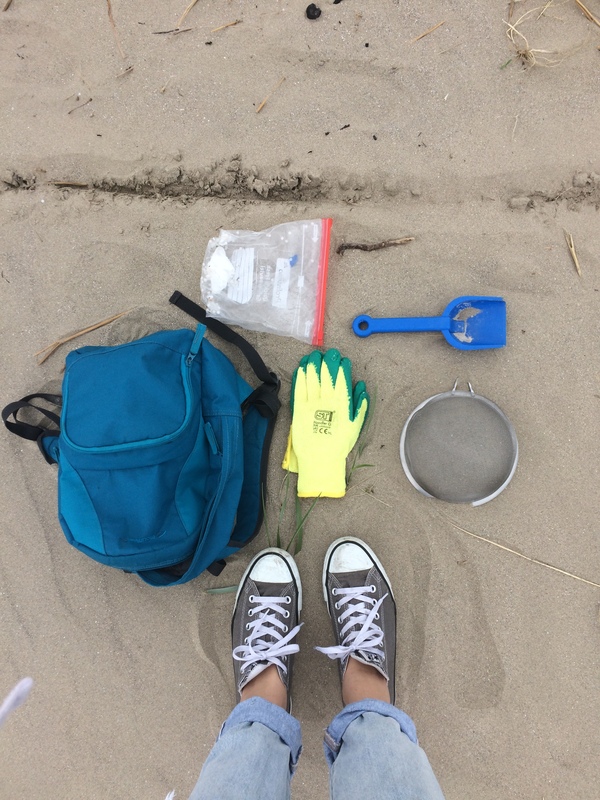 Nurdle hunting is optional and encouraged! The Riptide Movement meet with Seastainability to talk nurdles and microplastic pollution. Check out episode 2 featuring Rebecca meeting with Gerry and JPR. We’ve had a busy season to say the least exhibiting at various festivals, hosting workshops and cleaning tonnes of litter along beaches along the way. Festival season is coming to an end and we’re looking forward settling down to more content writing and impromptu beach cleaning! To close the Summer season with one of our most exciting events, we’ll be in Sligo for round 2 of the collaborative Trail’R’Trash Plogging event! Havin’a’laugh charity, Northwest Adventure tours, Fitness4All and Seastainability join forces once more to offer three exciting ways to get active and clean your environment on Sunday 16th September. With litter pickers and bags in hand, you can kayak to Conor’s Island in the morning, join a 10km trail-run, just hang out at Streedagh Beach during the day or get on horseback at Island View in the late afternoon. To start the morning you can kayak from Milk Harbour to Connors Island with Sligo Kayak Tours (10.30am – 1.30pm; €25/pp). Later in the afternoon join the guided trail-run and litter pick on Streedagh Beach with Fitness4All and Northwest Adventure Tours (3.00pm – 6.00pm). To close the evening take a Horse-riding Trek with Island View Riding Stables (4.00pm – 7.00pm; €25). There is a joint price of €40/pp if attending both Kayak & Horse riding. The guided trail-run is free for those attending other activities on the day. If your just joining the trail-run on the day, we recommend a suggested donation of €10/pp (€5/pp OAP/Student/Child/Unwaged) directly to the awesome H’A’L charity. A great family day out to raise awareness of looking after your mental health and your local environment, by getting outdoors and having fun. We hope to see you there with all of your friends and family! It’s coming up to Clean Coasts week and Trail’R’Trash Plogging event in Strandhill, Co. Sligo, will be Seastainabilitys most worthy ‘take action’ event to date. You might agree in saying that that’s a lot of buzz words in one sentence- so let’s break it down to explain! If your wondering what ‘plogging’ is, it’s a new Swedish born trend of collecting plastic while out jogging! ‘Trail’R’Trash’ is a 3/10km walk/run trail course co-hosted with Havin’ a Laugh Charity and in association with NorthWest Adventure Tours, Fitness4All and Clean Coasts. Havin’ a Laugh Charity aims to promote positive mental health through life-changing activities. The Trail’R’Trash event is free to register with a suggested donation of €10pp, payable on the day. Many of us have experienced the positive effects of exercising, enjoying the outdoors and volunteering in community based activities. Participating in such initiatives has proven positive effects on emotional and mental health, making us more likely to continue to stay active and involved. For many people however, this energy can become blocked and the drive to ‘get up and go’ is challenging. Funds raised by Havin’ a Laugh events will subsidise life-enhancing activities to community groups and those seeking counseling and/or therapy. The event itself starts at 19.00, Friday June 1st and ends at 21.00. We will be meeting and getting started at Airport road car park in Strandhill. There you can sign in and get kitted up. The route is either 3km or 10km and the choice is yours to walk, jog or run. Participants will be equipped with kit to pick litter while running and dotted along the trail will be bins for the easy collection of plastic debris. Under 16s must be accompanied by an adult. Afterwards join us at The Draft House Gastro Pub who are supporting this great initiative with a BBQ! Together we want to celebrate everyone who is trying to make a difference by making people happy and keeping our lands green and our waters blue! As we drew closer to the end of the year the Seastainability team would be back in their same hometown for the Christmas holidays. Since the summer we had rolled out several nurdle hunts, four beach cleans, one estuary clean and individually practiced the 2 minute beach clean ethos. To celebrate the end of the year and collaborate with a neighbouring community we decided to move slightly inland from the coast to tackle pollution in St Anne’s Park in Raheny, Dublin. Unlike coastal pollution, which lands on beaches from many sources including boats, drains and oceans, litter in a common recreational area is unfortunately solely dropped by individuals misusing the park. Collaborating with Dublin City Council, Seastainability and 43 volunteers tackled the park and collected 4 trailer loads of rubbish between them. The most common items found were disposable coffee cups, alcohol cans and bottles, food wrappers, clothing and toys. Many of the volunteers also spotted illegal dumping, especially along streams and in the pond. Amazingly (and this topic is a campaign in itself) on every common walking route we take, be it coastal or inland, we are constantly finding dog poo in little plastic bags! We have discussed this many times between ourselves and we still can’t rationalise the thinking behind why someone would go to the trouble of collecting dog dirt in a bag only to drop it on the ground again. Is it perhaps misconceived that these nappy sacks are biodegradable? Are people too lazy or ashamed to carry the bag if they can’t find a bin within a few yards? Do people think that this type of trash cannot be put in the regular street bins or do they simply think that someone else will dispose of it? I wonder do these dog owners have any idea of the adverse harm this plastic pollution is having on the environment? The clean up was a major success and many of the volunteers recieved praise and support from passers by. The volume of pollution collected in just two hours was a sobering reminder of societies relationship with the natural world. People may say that pollution is the council’s issue or the responsibility of establishments or even that of the packaging manufacturer. This beautiful park is a common area solely used by individuals and there is no excuse for littering. There are many bins dotted around the park and in this day and age every member of society is aware of the negative effects of littering. Still we wonder why individuals do it. Nearly every day during our daily commute we witness trash being tossed on railway tracks or out the car window. The litter vigilante burns helplessly within us when we witness such antisocial behaviour. We cannot express the uplifting feeling we get when large numbers of our friends, family and members of our community turn out to work alongside oneanother to tackle local pollution. First and foremost we would like to thank all of the volunteers for their hard work on the cold and blustery morning that was 29/12/17. Many thanks to Dublin City Council for their support and service during the day and thank you to the charming Olives Room Café at the Red Stables for serving us warming drinks at the end of the afternoon which were kindly sponsored by DCC. Keep an eye on the blog and social media for exciting clean-up events in 2018; ideas are always welcome and we love to collaborate with groups! We are lucky to live in such a beautiful part of Dublin, surrounded by the sea and beaches on both sides! Unfortunately both beaches in Sutton are badly affected by litter and pollution, especially Sutton Creek. Currents and tides wash the cities rubbish up on our shores on a massive scale, and it’s getting worse all the time!! We will be out doing a beach clean on Saturday morning (11th November) with @patjack67 @cleancoasts and @surfersagainstsewage at 11am to try tackle the problem. Please join if you are free and want to get involved in a community driven effort to clean up our local environment. More beach cleans in the diary! Who’s coming? This challenge needs a MAMMOTH number of volunteers to help tackle the state that is Sutton Creek! We are hoping to see many of the local businesses in the area joining- This is our communal land which attracts tourism which in turn profits the businesses in the area so let’s ensure it’s perfect! Please spread the word and come join @patjack67 on the green opposite St. Fintans church on Saturday 11th of November at 11am. Lets see what storm Ophelia has whipped up and deposited on our shores ! For full details and copies of the poster drop us an email and let us know if you or your group can join. Cleaning up our natural environment has never been more imperative. ‘Green is the new black’ and civic action is gaining huge popularity and recognition on social media. Images of trash collected by individuals are flooding the likes of Twitter and Instagram. The movement has grown globally with beach lovers following such ethos’s as the ‘2 minute beach clean’, ‘just grab bits’ and ‘take 3 for the sea’. Organised beach cleans are a wonderful incentive to bring community together and to discover more about current environmental issues. 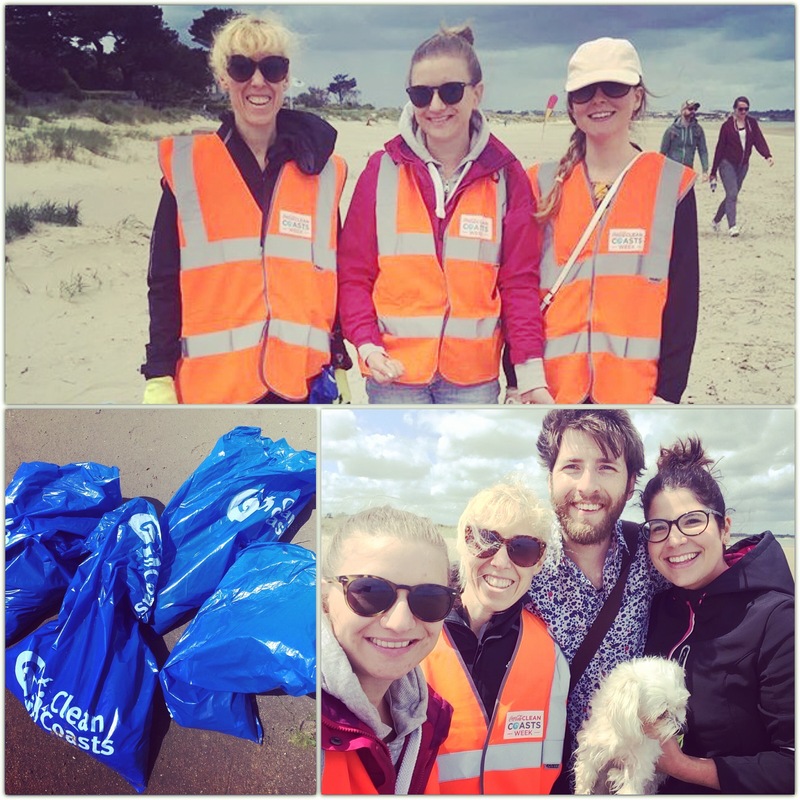 Earlier this month, we organised a local beach clean as part of the An Taisce Clean Coasts Big Beach Clean. The week ran from June 2nd – the 11th with groups around the country tackling our coastal pollution issue. Weather conditions had been stormy the week before with high tides changing the usual layout of the beach. On an average day you could fill several sacks of bulky litter but on this particular day we were pleased to see the pollution was sparse and overall the beach looked clear. One of the volunteers had been collecting small shells when she noticed tiny round beads scattered on the sand. This was my first sighting of plastic nurdles and it had a sobering effect on me. I had seen images of this kind of pollution before but I never imaged it reaching our small shoreline. Nurdles are tiny pre-industrial pellets used to manufacture plastic products such as toys, synthetic fabrics or plastic packaging. This type of plastic pollution had most likely come from a cargo ship spill out at sea. The inorganic beads were nearly invisible, blending in amongst the sand and shells. These pellets can easily be mistaken for micro organisms which are tiny enough to be ingested by small fish such as krill. The plastic then enters the food chain via sea birds and larger marine mammals and finally contaminates our food source. The rate at which species are disappearing in our ecosystems due to pollution is accelerating. Regular beach cleans and reducing the amount of plastic we consume is a positive action but it is a short term solution to a major problem. The changes we make over the next decade are imperative to conserving our oceans. If we really want to make a difference to stop plastic pollution then legislation MUST be changed with regards to single use plastic. Big plastic manufacturing companies are responsible for the magnitude of plastics in our oceans and landfill. We as consumers need to challenge these producers to take more responsibility to offer sustainable products. Governments need to implement long term solutions to recycle or reuse these single use products. I would welcome an additional tax on single use plastic products to highlight that convenience consumables have grave effects on our environment. We here at Seastainability have challenged our government but so far their response has been unsatisfactory with politicians claiming we already have a successful recycling system. We need to demand a deposit and returns system and an outright ban on plastic bags and cutlery. We have a choice to change our consumer habits and we have a voice to demand better solutions. There is no planet B and we cannot wait for this problem to be inherited by the next generation. On my recent visit to Malahide Estuary in Dublin I took some photographs and did some watercolour paintings on the flora and fauna in the area. The inner Broadmeadow estuary has been designated a sensitive area of tidal waters under national regulations (S.I. 254 of 2001 and S.I. 440 of 2004). I did my field work both at the inner Broadmeadow estuary and beyond the marina at the mouth of the estuary. I wanted to do a site survey of the estuary and use my findings as inspiration for my paintings and artwork and also see how climate change is actually affecting the local environment. Here are some of the art supplies and kit I use when I’m out and about surveying marine habitats and also when I return indoors to paint. My Camera, it’s a little old but it has travelled to far flung places! A journal and sketchbook paper, for my notes and quick drawings. My thermal mug, I have recently started taking my thermal mug with me because disposable coffee\tea cups are extremely bad for the ocean but it’s really lovely to have a warm drink to heat you up when your out in the Irish weather! My watercolour paper, I use either cold pressed\not grain fin paper or I really like to use rough grain paper to give a textured finish. My 2b pencil, rubber, Schmincke Horadam watercolours and fine line pens, for defining my paintings and to add detail. I usually paint indoors on the floor but sometimes I sketch outside, when the weather is good. However, it is generally cold and wet in Ireland so I tend to keep moving rather than hang around sketching, I take photos and sometimes little samples, making sure not to damage the habitat or disturb the inhabitants in anyway. Having a camera meant I could take photos of the landscape. A photo acts like a frame, helping isolate elements of the scene and can be used as a reference for painting later. Here I used watercolours and pen to detail the elements of the landscape and illustrate the white horse waves at the mouth of the estuary. Green algae Enteromorpha This is a quick painting that I did to capture the movement of the water. Its good to remember that you don’t have to recreate the exact photograph just the energy of the scene. Playing around with colours and brightening or darkening your painting palette adds interest and variation. Sea Spurge (Euphorbia paralias linnaeus) This is a plant found in coastal regions, and in sand, shingle and on cliffs. It flowers in the period July to October, it is perennial and native to Ireland. Its features are: Small yellow-green flowers in up to six rayed umbels. Three-lobed, smooth seed capsules. Fleshy, hairless oval leaves, which are un-toothed and blunt. It usually has several erect stems containing white latex. It can vary in height 20-40cm. Sea Beet (Beta Vulgaris ssp maritma). The Sea Beet is a coastal plant found on rocks but it also grows on sand and shingle beaches and also in sea walls and on waste ground. It can sometimes be carried inland and seed. It’s flowering time is July to September, it is native to Ireland and perennial. Its features are: Shiny leaves which are dark green in colour. Triangular shaped leaves that are un-toothed. Fleshy stems that may contain a red tinge. Wide covering of branched growth up to 100cm. Tiny green, sometimes reddish petal-less flowers which are contained in narrow leafy spikes. If you want to start studying and documenting a specific location, the first thing to do is to get a map of the area, then gather the kit I describe. Then I use references key charts to identify different plant and animal species that are specific to the area. Getting familiar with the plants, birds and animals of the habitat is very important when beginning to monitor an area. You can monitor plastic and rubbish in the general estuary area. A key area to monitor is the point source run offs into the water source. These are pipes or water streams that usually take surface water into the sea, they can become polluted and blocked. You might notice a build up of rubbish, a change in colouration of the rock or earth around the pipe and water exiting with a muddied, cloudy possibly, grey, brown or green appearance which can be an indication of pollution. Once documented, this is something that can be reported to the local authorities. It is really important to note that some areas such as pipes or boulder rocks can be prone to rats. Humans are at risk of contracting Wheil’s disease if they were to handle rubbish or pollution which was contaminated. Only professional authorities with protective clothing an equipment should tackle clearing pollution here, but you can contact your local authorities with your findings. Moss or green lichen is not necessarily a sign of pollution but excess amounts of it with the presence of rubbish and discoloured water would be an issue. It’s more of an issue when it actually grows on the water, this is the type of algae that causes loss of sunlight as opposed to the lichen I’ve found growing on the rocks pictured which are part of a healthy estuary eco-system. In terms of plant abundance this would be something people could measure over time if they use a quadrant, which is square 1m *1m made of wood or plastic. You throw this out over the area of the estuary (it can be used in a variety of habitats to count plant species, in various locations). Using a sample of the plants in an area, it is possible to compare over time how the plant life is effected by pollution and climate change. Like water testing, where invertebrates can be used to determine the health of the water, plants are part of the process for defining Special Areas of Protection (SPA). 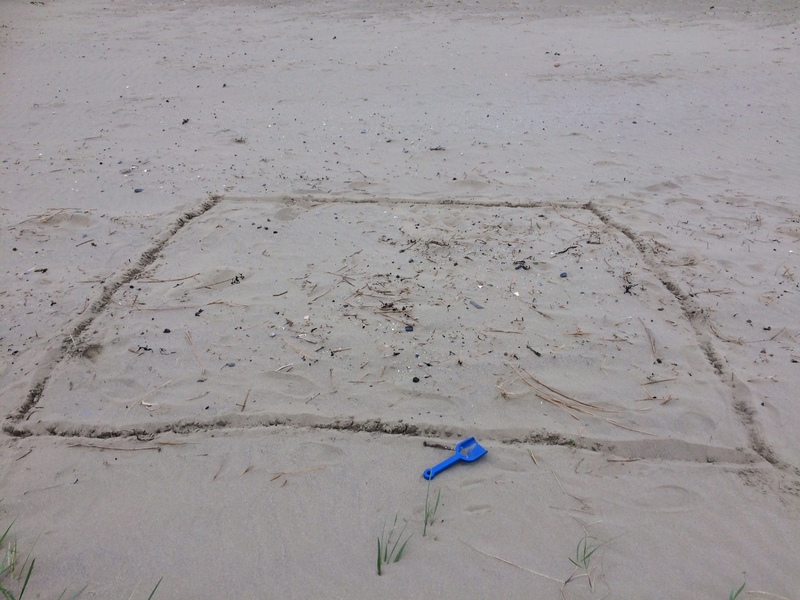 Their level of abundance can be used to determine the health and wellbeing of a habitat, which we can measure using the quadrat tool. For estuaries I reference both the ‘The Status of EU Protected Habitats and Species in Ireland 2013’ and also ‘A Guide to Habitats in Ireland’ to determine the definitions of the different marine habitats. ‘A Guide to Habitats in Ireland’ indicates that the tidal area of the river mouth or estuary should be characterised by the marine littoral or sublittoral Category. In this case the estuary has, the habitat Shingle and Gravel Banks CB1, Marram Dunes CD2, Dune Slacks CD5. Climate change and pollution are intrinsically connected. Measuring rain levels, recording storm surges, monitoring runoff, plastic pollution and also plant abundance are all ways we can see how climate change is affecting the habitat. It’s about data collecting over time and monitoring subtle changes. However, finding pollution sources, noticing polluted water bodies and recording plants that are in trouble is very important and these things can be reported to the local authorities immediately. We can all take individual steps to reduce our plastic footprint but why not go a step further and start writing to business and corporations to challenge them on how sustainable their products and services are. As an environmentally aware consumer I am conscious of the amount of packaging on the take away food and beverages I buy. I am contacting many of the (cafes, bars, restaurants) in the local area and trying to reach out to them to encourage the use of sustainable packaging and eco solutions for hot beverages and to raise awareness of this single use plastic problem we have in our community. I have noticed that you provide so many single use plastic items at your coffee station like cutlery, cups, straws, lids and convince items like sugar sachets and stirring sticks. 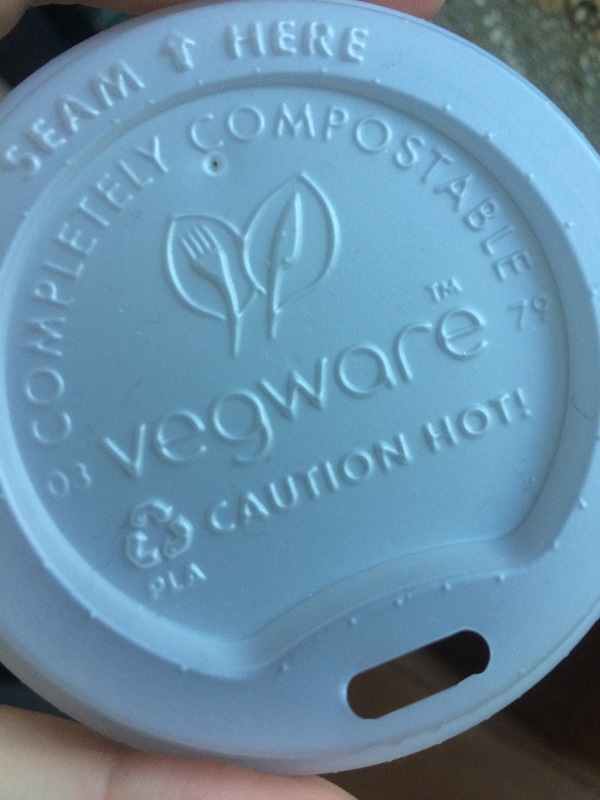 I love your cup design but have you considered biodegradable vegware plastic? I usually ask the staff for a mug and a metal spoon especially if Im sitting outside. I know sugar bowls are messy and not so hygienic for a fast passed cafe but what about a glass jar of loose sugar lumps with a tongs and metal spoons for stirring? What about recycled paper napkins? Some cafes also promote to bring your own thermos and get a small discount for avoiding the disposable cup. 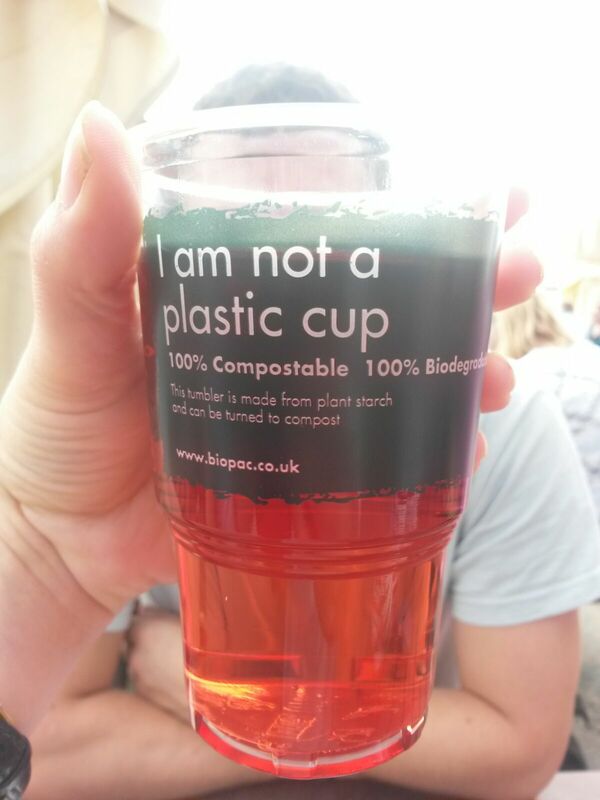 I think this would be a nice touch and consumers are becoming more aware of sustainability and single use plastic. It will only be a matter of time before more Governments ban single use plastic. France and California have set a great example for the rest of the world by banning single use virgin plastic in bags and cutlery. Why not start implementing some of these practices now and and be leaders in sustainable food service providers? I am a regular customer at (supermarket/store). I tend to do my main shopping there and pick up bits and pieces elsewhere in specialty smaller stores. As an environmentally aware shopper I am conscious of the amount of packaging on the food items I buy, I usually approach the food isle and buy loose fruit and veg and bring my own bags. I have noticed that you sell a limited variety of fruit and vegetables that are sold loosely and that plastic packagings are really dominating your shelves. I actually avoid buying any foods that are unnecessarily packaged and at your store I found this difficult to make my full shop. I also noticed that you had no paper bags available at the fruit/veg/bread counter and all your customers were forced to use single use plastic bags. I wonder if you would consider cutting plastic packaging with more of your fresh items and perhaps providing brown paper bags instead of plastic ones for these items? Most large grocery stores have a sustainability plan with a target to eliminate single use plastic in their products, I wonder if you have a strategy in place to offer consumers a more environmentally friendly shopping experience? It will only be a matter of time before more Governments ban single use plastic. Why not start implementing some of these practices now and and be market leaders in sustainable food providers? Perhaps there is something you would like to share with me on how (supermarket/store) intend to offer consumers a more environmentally friendly shopping experience?